Welcome to the low maintenance lifestyle you have been dreaming of! River Knoll is truly a place you can enjoy all life has to offer w/ easy upkeep at home & more time for your favorite activities. 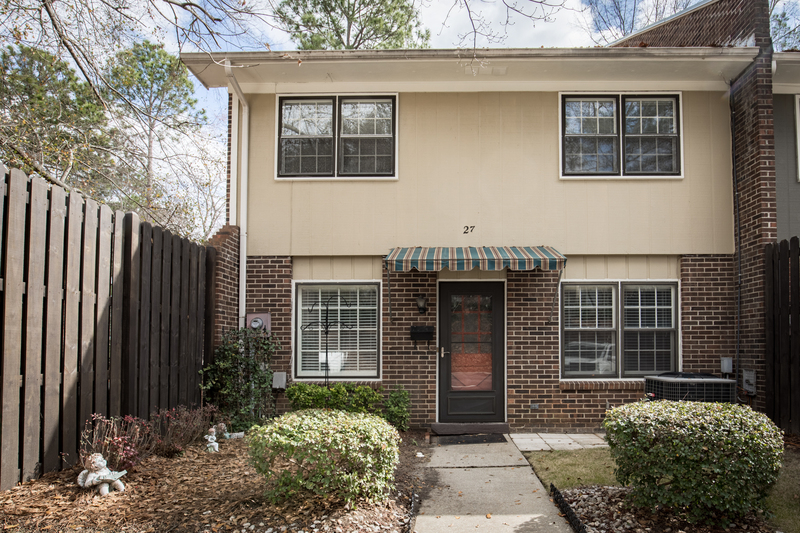 Located off River Rd, you will appreciate the convenience of the nearby shops, restaurants & more; Publix, Fresh Market & Target are all accessible within minutes! Condo living offers all the benefits of homeownership but w/ less work for the lifestyle of today's busy professionals & families. This charming condo includes all the comforts of a traditional home. Out front there is green space for planting your favorite flowers & inside is more than you expected! The open floor plan creates a versatile space. Main level includes 2 large living spaces & built-ins along the wall of the bkfst area for all your storage needs. Cozy kitchen w/ laundry area & a half bath. Upstairs are 3 bedrooms to include the master w/ ensuite & an updated hall bath. Out back offers additional patio seating.